By hungry runner on September 25th, 2009 . Filed under: Stationary . What better way to let someone far away know you’re thinking about them then by sending them some mail the old fashion way. 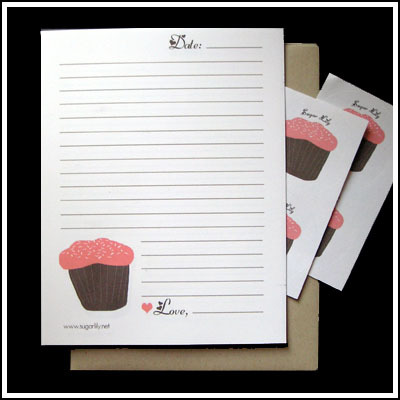 Cupcake Stationary is the perfect alternative to plain paper and will without a doubt make the recipients day. Who wouldn’t smile at the sight of a cupcake?